The season is far from over: the B.C. Wildfire Service says August is usually a busy month for fires. British Columbia is experiencing its most destructive wildfire season in 60 years. Kevin Skrepnek of the B.C. 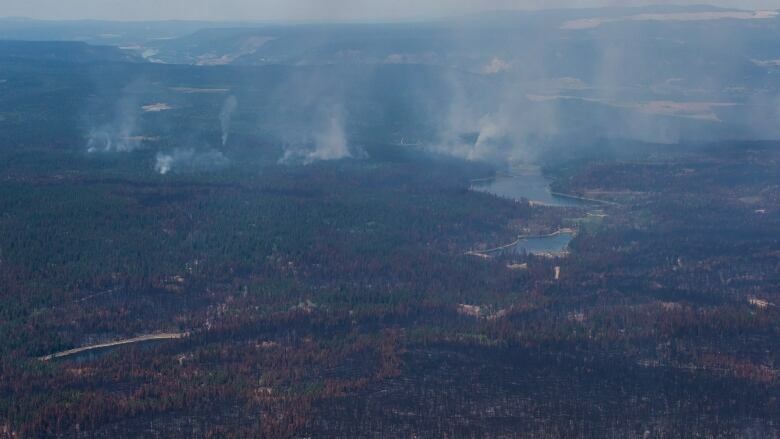 Wildfire Service says 4,910 square kilometres of forest, brush and grassland have been torched, making this year the second worst in recorded history in terms of land lost. Skrepnek says it is too early to tell whether this year will surpass the 1958 season, when wildfires engulfed more than 8,500 square kilometres. He says the season is far from over, and that August is usually a busy month for fires. The B.C. Wildfire Service is also reaching further afield for reinforcements, with negotiations underway to bring in firefighting crews from Australia and New Zealand, possibly as early as next week. Skrepnek says a forecast change in weather is expected to shift wind patterns and cut back the smoky haze that has settled over much of B.C. 's coast in recent days. There are currently 6,700 people under evacuation order and another 24,800 under evacuation alert in the province due to the wildfires.